The City-owned and operated Tourist Park is located approximately 1/2 mile north of Wright Street on Sugar Loaf Avenue on the north edge of the City [View Map].  Fronting the Dead River, the nicely wooded 40 acre park provides visitors with a clean, pleasant and convenient place to camp in the immediate Marquette area. 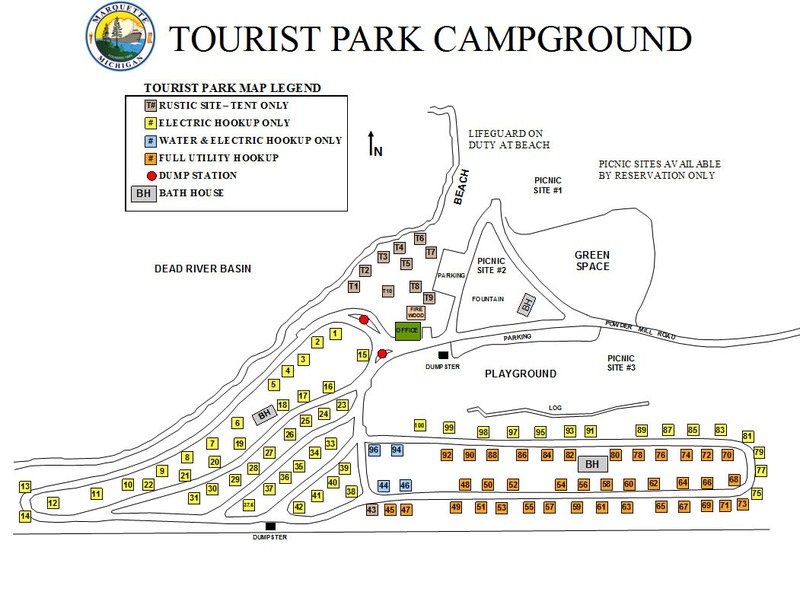 There are approximately 20 acres of campground space with 110 camping sites. One hundred sites provide electrical hookups to accommodate RVs and trailers with the remainder being designed for primitive style tenting. Each camping site has a picnic table and barbecue pits are available throughout the campground. There are 38 sites with water and sewer service. Campground facilities also include hot showers, restrooms/flush toilets, sanitary dump stations and paved roads. The campground has a small playground, grills, grassy open space, hiking trails, drinking fountains, and three large picnic areas. It is one mile from Lake Superior beaches, next to the City bike path, as well as near the Noquemanon Trail Network--miles of unpaved access to hikers, mountain bikers and runners. Tourist Park is the site of the annual Hiawatha Traditional Music Festival. The park opens on May 17, 2019. There is a $5.00 reservation fee. There is a 14 night limit on reservations, and reservations may be made after January 2nd, 2019. Online reservations must be made at least five days in advance of when you want to camp. The season begins May 17th and lasts through early October depending on weather. There is a $20.00 cancellation fee. 2019 Rates: $18 primitive/tent site, $30 electric, $35 full hook-up. Professional staff are able to assist with questions and provide brochures for your needs. Office Hours are 8am-10pm daily. Office Phone (906)228-0465. We ask all campers to please abide by the Tourist Park rules and policies. If reservation is cancelled 10 days or more ahead of schedule date, a full refund will be made to the renter less $20. If reservation is cancelled between 2 and 9 days ahead of scheduled date, a 50% refund will be made to the renter. If reservation is cancelled within 24 hours of the scheduled date, there will be no refund. Changes or cancellations to your permit must be made 24 hours in advance of check-in time (3 p.m.) and will be granted a refund minus the $20 cancellation fee. After arrival there will be no refunds. - Online booking for 2019 began January 2, 2019. Please be aware that reservations cannot be made for more than 14 consecutive days. Patrons must leave the park for 48 hours before they may return. Changes or cancellations to your permit must be made 24 hours in advance of check-in time (3pm) and will be granted a refund minus the $20 cancellation fee. After arrival there will be no refunds. - Check-in time is 3:00pm. - Check-out time is 12:00pm. - Quiet hours are from 10:00pm – 8:00am. - Maximum of 2 vehicles per site and no more than 8 people per site. One RV and one tent or two tents are permitted at each site. - All visitors must check in at the office for a pass and need to leave the site by 10:00pm – no exceptions. - Please keep dogs quiet and leashed at all times. Doggie bags are provided outside the office and campsites 12 and 70 for your convenience. - Bathroom cleaning hours during the summer are as follows: 10 am-12 pm; 7-9 pm. - Please dump waste water in the waste water sink available adjacent to the East Bathhouse – in back. - Up to $120 fine for leaving refuse behind at site or in fire pit. - Please do not bring firewood into the campground - we sell firewood on site. - Limit stay on all sites: 14 nights. You may return again after 48 hours. - Firewood, ice, and Yooper Fire Starters are for sale from the main office. - Please lock up all valuables – Tourist Park is not responsible for losses! The beach at Tourist Park will be open for the 2019 season. Each picnic area can be reserved for a fee of $10.00 per hour. A refundable security deposit of $100.00 is required. Area #1, located on the right-hand side as you enter the park, accommodates up to 400 people. Area #2 located in the triangular shaped area can be used up to 100 people. Area #3 by the playground can be used up to 300 people. There are electrical connections and 3 picnic tables available; but no loudspeakers or amplifying equipment is permitted.